With EA Play just around the corner, it won’t be long until we get our first look at FIFA 18. 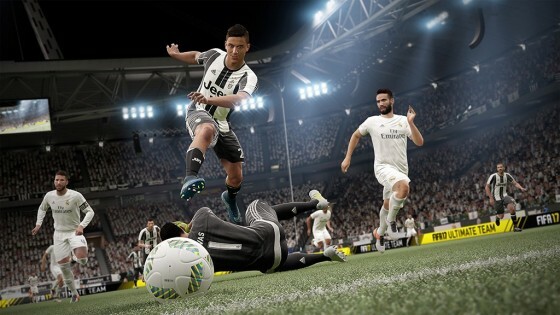 The next entry in EA’s bestselling soccer series will incorporate the Frostbite engine for the second year running, and has already been confirmed to feature a second season of story mode, The Journey, which debuted in FIFA 17. Ahead of the inevitable reveal, I’ve taken this chance to highlight a few things I’d like to see in FIFA 18 later this year. Be sure to add your own ideas to our wishlist in the comments below. Soccer is known as “the beautiful game” for a reason, and while FIFA 17 lives up to the moniker at times, it misses the mark at others. Against the CPU, it benefits from balanced, well-enhanced gameplay that surpasses its predecessor, but a lack of tactical diversity grows tiresome. Multiplayer is a different beast, placing an over-reliance on pace and occasionally suffering from disjointed AI positioning. It’s a shame as FIFA 16 had perfected a balanced gameplay experience across the board. The new engine has undoubtedly resulted in some areas of improvement on the pitch, but should also benefit from an extra year’s development to rectify its wrongs and realize its true potential. FIFA 16‘s set pieces never really felt inadequate, but EA went the extra mile in developing brand-new mechanics for FIFA 17 anyway. Unfortunately, they’re just not all that good. The penalty system is particularly poor, leaving first-timers baffled by its strange execution in many cases. 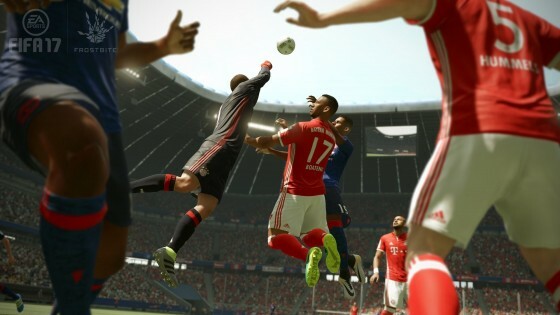 Would the fans be happy if EA reverted to FIFA 16‘s set-piece system later this year? It’s hard to say, but EA is unlikely to give it a second thought. Hopefully, their attention will turn to enhancing the aforementioned penalty system alongside the corner and free kick targeting system. The latter isn’t all that bad, but still needs some fine tuning to maximize its effectiveness. FIFA 16 introduced a host of new features for career mode, but FIFA 17 has primarily taken a backseat in this area. The year of transition is possibly to blame, putting the focus on Frostbite and The Journey, and forcing career code to make-do with a few minor enhancements such as new team objectives. 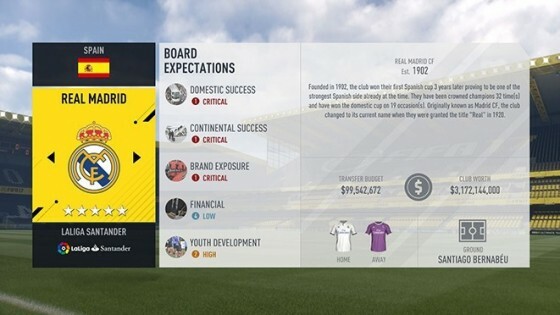 There are loads of things I’d like to see in career mode, such as an enhanced transfer system and online features. Above all though, career mode just needs a bit of freshening up. Its aging features do a solid job, but many have grown tiresome at this point after multiple years of stagnation. 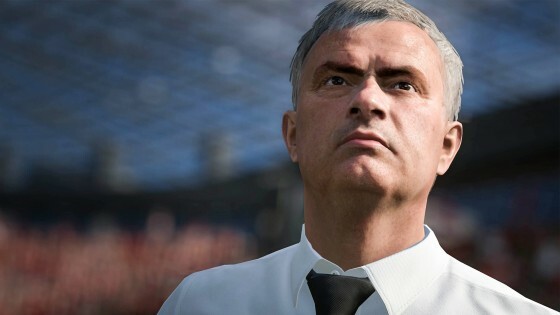 Aside from the new Frostbite engine, FIFA 17‘s most notable addition is The Journey — a brand-new mode following youngster Alex Hunter and his goal to achieve English Premier League glory. It has been received to great acclaim, but despite all its qualities, it also showcases potential for improvement in many areas. That’s not a bad thing. The Journey’s first outing has proved successful, but now needs the benefit of further development to become a major, year-long attraction. A create-a-player feature would help with this, and I’d also like to see efforts to reduce the story’s linearity. Honestly, the possibilities here are endless. FIFA 17 is a much better-looking game than its predecessor. The Frostbite engine has done a great job at enhancing the series’ lighting, player models and stadium features, but there’s still work to be done. In particular, new manager models look downright creepy at their worst, while crowds appear blurry and sometimes get locked in simultaneous animations. These small details can have a big effect on immersion. If EA can place more focus on bringing them in-line with the rest of the series’ detailed visuals, FIFA 18 could be a contender for the best-looking sports title on the market. That said, it’ll have to work hard to compete with NBA 2K, MLB The Show and EA Sports’ other major properties for that honor. With the release of FIFA 10, the idea of a “Virtual Pro” was incorporated into the FIFA series. This allowed you to create your own player and use them in the Pro Club Championship mode, upgrading their abilities as you progressed. A similar concept exists to this day, but in my view, FIFA would benefit more from an EASHL-like player-class system. At present, there’s just no balance. If you’ve upgraded your player to a certain level, he can prove unstoppable against standard defensemen, eliminating the sense of fair play. A class system might not suit everyone’s tastes, but I’m sure most would agree an improved customization suite a-la EASHL (with stadium builder) would also serve Pro Clubs well in FIFA 18. FIFA 17 has a fair share of leagues, but if we’ve learnt anything from Football Manager, it’s that FIFA and PES are still far behind in this department. In particular, China’s Super League demands inclusion with its array of recent high-profile signings, while many other major leagues from across the globe are still awaiting inclusion in the series. Then, there are the women’s leagues. 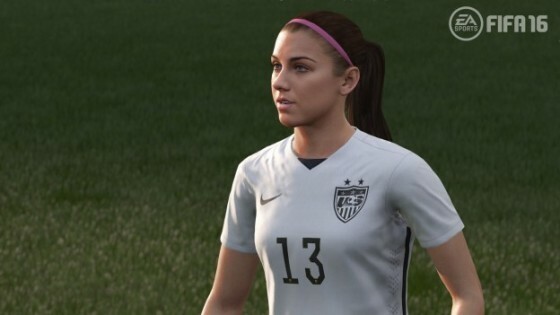 FIFA 17 only includes women’s national teams at present, and with the groundwork being implemented two years ago, FIFA 18‘s female game appears ready to evolve. We’d naturally like to see the National Women’s Soccer League added, but there are loads of potential choices on offer. If you’ve never sampled FIFA’s late-90s indoor mode, you’ve been missing out. Truthfully, it’s aged quite badly, but it provided a superbly entertaining side attraction back in the day. Indoor mode is always one of the FIFA series’ top-requested features, but has yet to make a comeback, and is now 20 years removed from its previous incarnation. FIFA Street had it, but it just wasn’t the same. Indoor mode’s popularity stemmed from its basic variation on the core formula, featuring bouncy walls, tiny pitches and the potential for unique goals. FIFA Street‘s fancy tricks and features were great, but aren’t necessary here. Just a simple, barebones indoor mode would be enough to satisfy the fans after 20 long years. What do you want to see in FIFA 18? Let us know in the comments below.